Therese Flynn-Clarke works using a number of mediums including basketry, sculptural fibre art, eco-dyeing and wearable art, ceramics and mixed media, which all reflect her deep connection to the natural world from where her inspiration is drawn. Therese’s connection to ‘place’ and the land provides a source of subject matter and materials for her art work. 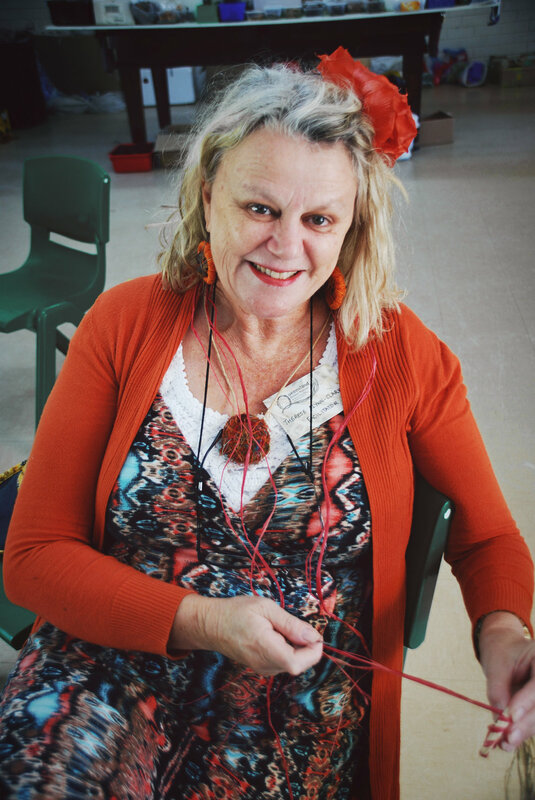 Therese has exhibited widely across Australia, won awards for her art, and has empowered many through her work as an arts educator and tutor, facilitating workshops at a tertiary level, in early childhood settings, for fellow teachers in arts education and practical skills, in galleries with links to specific exhibitions and at community events and festivals. Therese is a prolific and committed artist involved in her own art practise and a respected member and participant of many community arts groups and events across a wide area. 2016-2015 Education/Arts Workshop Facilitator-exhibitions program. Gold Coast Art Centre. 2015-2005 Participant/tutor National Basketry Gathering, Canberra.